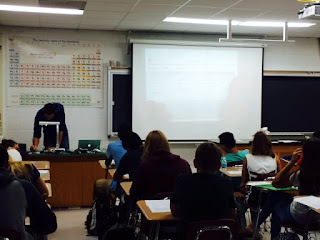 I have been attempting to visit all the core sophomore courses my students take. I want to see the purpose of writing and how teachers teach it and then use it in all the core classes. I had yet to see a chemistry class and was fortunate enough to visit Colin Rice's honors chemistry course. The two of us share a lot of the same students and I heard they wrote a lot in his course, so I asked if I could visit. He graciously accepted. 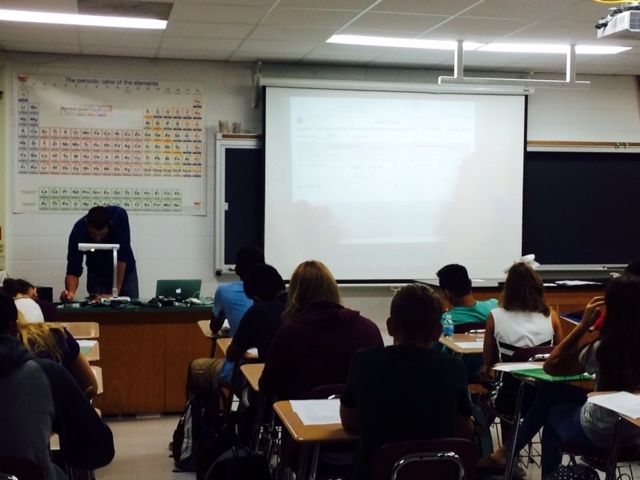 In chemistry, the teachers use writing as a summation of labs. But, it serves a far greater purpose. Prior to the class I visited, the students completed a lab on closed systems. 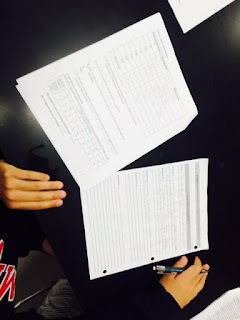 The students collected data and completed a lab packet. Today, the students wrote about their findings in the lab. Although all of the students had collected data, some of the students did not complete the lab correctly. There in lies the genius of the writing. While Colin cared about the lab and the data the students acquired, he cared more about the explanation of the data to prove a concept. 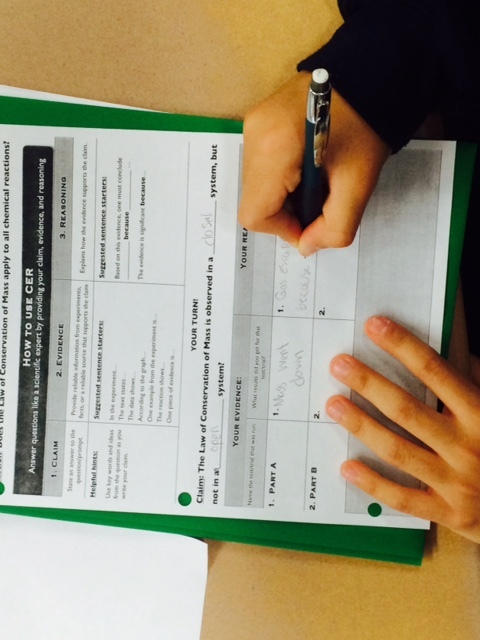 A pair of students did not produce data that would prove the hypothesis. They knew their data to be incorrect. Colin told the girls not to worry about the inaccuracies of the data. Instead, he told the girls to explain what went wrong in their lab. Furthermore, he wanted them to to write why the data they acquired could not be a part of a closed system. If the students could explain the errors in their writing, they would have to understand the concept in a very in-depth way! The critical thinking involved was amazing! What is great, is that all the students will have slightly different data and be attacking the writing from different view points. After talking to Colin, we realized that our thesis/main idea/claims were nearly identical. We both require students to use very specific evidence to support a thesis. But, the best part was the reasoning. We both desire the same critical thinking from the students. We still have work to do on making the students see the parallels, but it was a great first step!